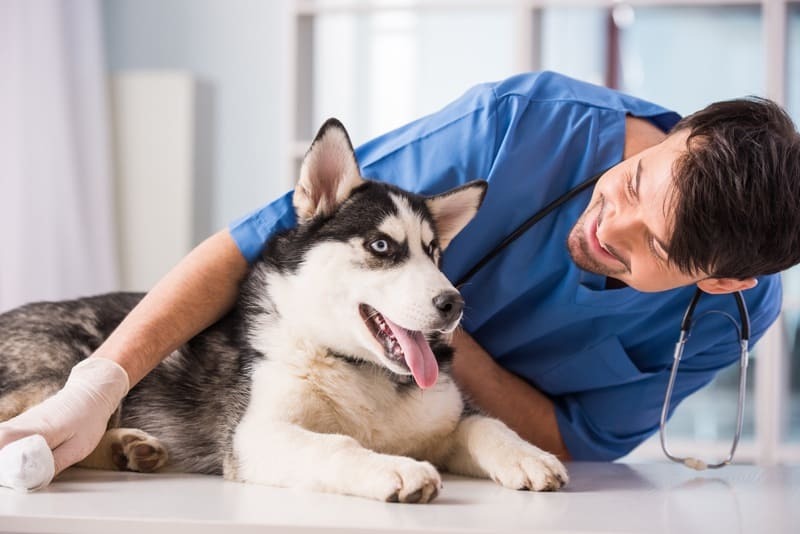 To keep your Siberian Husky Puppy healthy and out of trouble you will need to organise vaccination and immunization shots for it, especially before leash training. Puppies are still building an immune system which is why husky vaccinations are essential to protecting them from harm. These vaccinations start before you pick up your puppy from the breeder, and continue on for at least one year and possibly for the lifetime of your pet. What are you immunizing against? Immunizations that puppies get can be sorted in to three groups. Distemper is a virus that affects the lungs, intestines, and brain and results in a wide variety of problems in these organs, skin complaints, discharge, etc. Hepatitis (also known as Adenovirus) is a virus that affects the liver and kidneys, possibly leading to organ failure. Parainfluenza (also known as Kennel Cough) is an infection of the respiratory system, not unlike the ‘flu’ that humans suffer from. Parvovirus is a highly contagious virus that affects the intestines resulting in a variety of complains including depression and diarrhea. Leptospirosis is a bacteria affecting the blood and urinary system, causing fever, depression, joint pain and possibly organ failure. Coronavirus is a virus affecting the intestines and causes diarrhea. Bordetella is a bacterial infection that can lead to Kennel Cough. Lyme disease is a disease transmitted by ticks and can result in inflammation of the joints and general lameness. Rabies is a viral disease affecting the central nervous system in both humans and dogs, and can be fatal. This is a general guide as to which vaccinations are administered at what age of the puppy’s life. 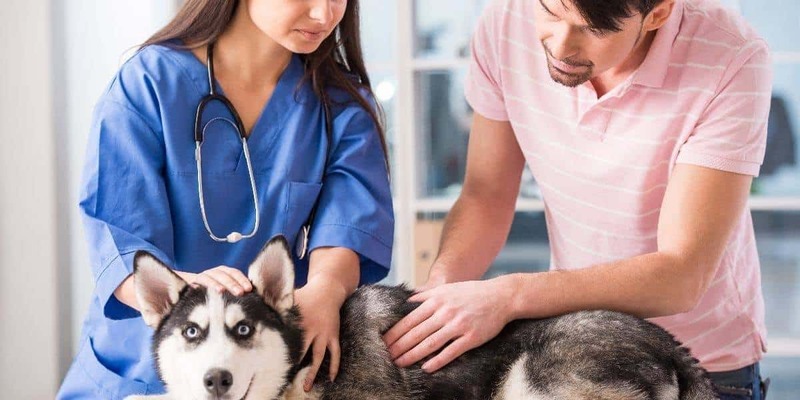 Your local vet (who will administer the injections for vaccination) might have a slightly different schedule that they standardize to and adapt to local environments where particular diseases might be more prevalent. 6-8 weeks: The essentials (DHPP). Given that most breeders will not release puppies until 9 weeks of age, DHPP should have already been administered. 10-12 weeks: DHPP, again, because immunity is only short-lived from the first round. Leptospirosis, Coronavirus, Lyme disease, and Bordetella are optional, depending on what threats there are in your local area. Your vet will help decide what is required. 14-16 weeks: DHPP again, and those optional vaccinations as required. 12-24 weeks: Rabies vaccination. The actual timing depends on local laws governing mandatory Rabies shots for puppies. 1 – 1.5 years of age, and every 1-2 years thereafter: Rabies, DHPP, and the optionals may require a booster. Whilst rabies might not be optional, DHPP may be. There is some concern of late that over-vaccinating dogs might not be such a good idea, or at least has minimal benefit. Some critics say ongoing vaccinations is just a way for drug companies to sell more product. When you pick up your puppy from the breeder, or adoption agency, you should find out what vaccinations have already been administered. If all of the core vaccines have been done on your pup then there isn’t much to worry about. If not, then you should visit your local vet and organise a schedule for future vaccinations. Many vets will send you reminders when the time comes so you don’t forget, and the procedure is quick and easy when the times do arrive to administer a booster. So get organized, form out a plan and note it down in your calendar and get those siberian huskies vaccinated! It’s not a difficult or expensive exercise to complete, and will help give your puppy the best chance at growing in to a strong, healthy adult dog. Introduce your new pup to friends so that they will get used to new people and be comfortable and confident at a young age. Before your husky puppy gets vaccinated, keep them off the ground in public places and in the vet offices common area. Bring water, treats and blankets to keep your husky comfortable. 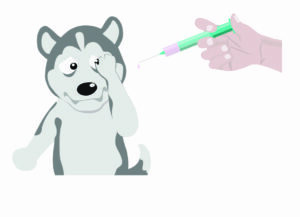 Let us know how your husky vaccination went!